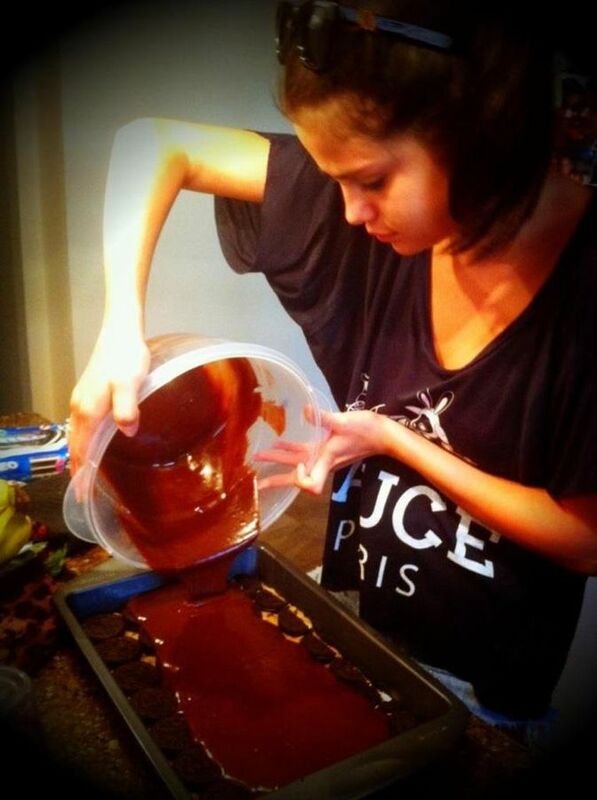 Selena Gomez went to Dallas a few days ago to visit her family, and now we learned through the social network Twitter that the singer of "Love You Like a Love Song" takes the opportunity to showcase their talents in the kitchen, acting very home . In the photo shown on the social network cooking shows what looks like a sweet (or cake) chocolate. Spring Breakers star was voted as a movie star in the Social Star Awards. Have also been published recent photos apparently Selena in a red bikini sensual to the hip. Are Set for Spring Breakers?